The following is a collection of freely available Bootstrap admin themes, each theme looks great and can be customised easily. 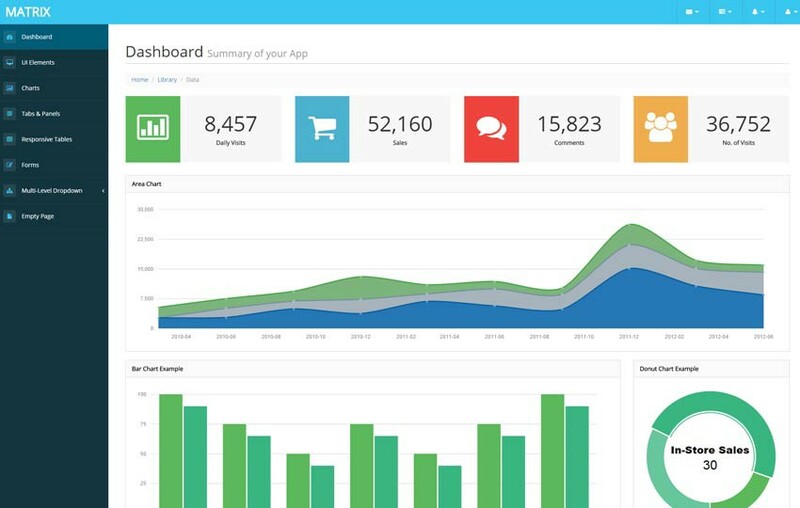 Joli is a free admin template/Dashboard/Web App based on Angular JS. Its is responsive template means it is compatible with smart devices like tablet and phones as well.It is very easy to use and customize according to various requirements. 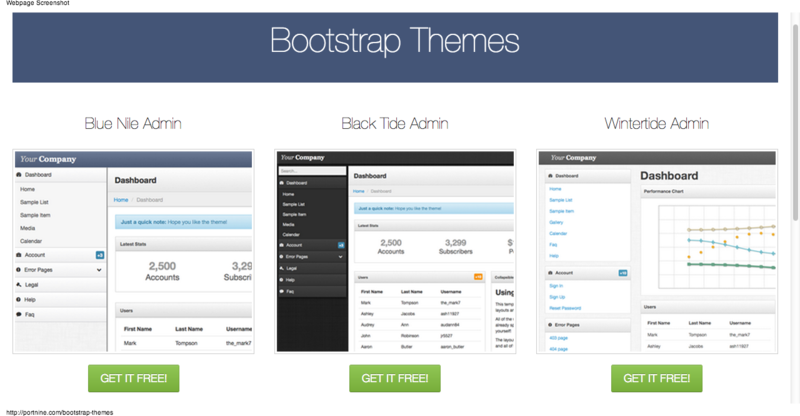 A free Bootstrap theme from PrepBootstrap. This is a admin theme with many addition pages and layouts. 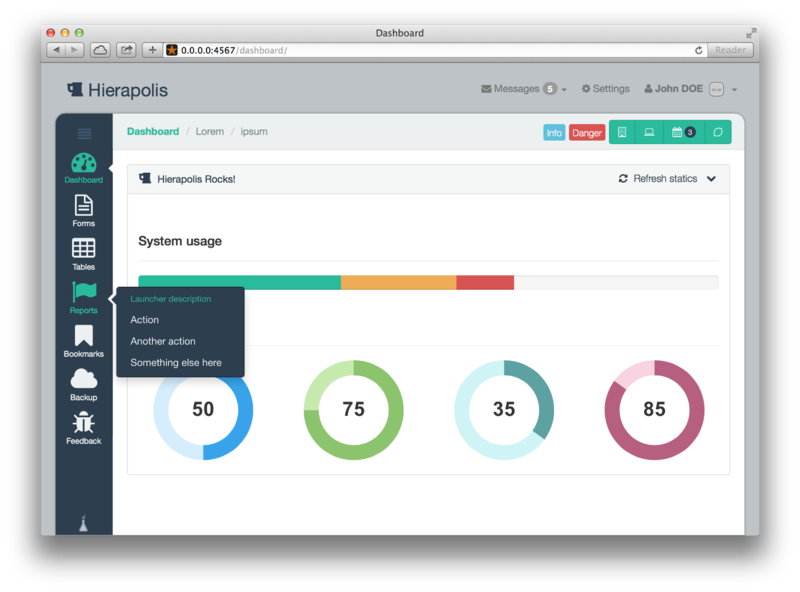 Dashboard, which contains dashboard widgets, that handle the task of data visualization for the theme. Useful for quarterly reports, sales data, or data reporting. This is a private admin template which is based on Twitter Bootstrap 3 with Sass and Compass. Hierapolis Hierapolis (Greek: áundefined¹ερÎ¬πολις ‘sacred city’) was an ancient Greco-Roman city in Phrygia located on hot springs in southwest Anatolia. Its ruins are adjacent to modern Pamukkale, Turkey. Free Bootstrap Admin Template is free to use responsive admin dashboard template with all features that you need. It can be used for personal and commercial use. Free Responsive Admin Theme — Zontal Admin Template is free admin dashboard template with horizontal layout. You can use it for personal and commercial use. 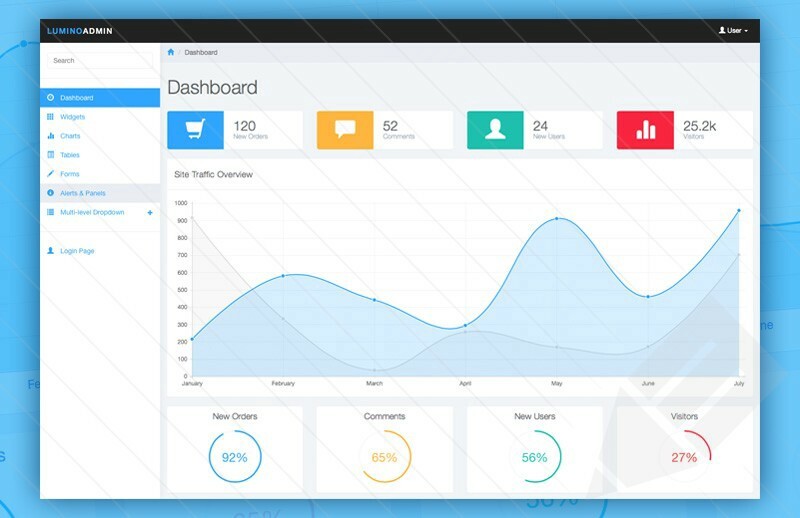 Matrix Admin is a modren clean and powerful ready to use responsive admin template, based on Bootstrap v3.1.1, HTML5 and powered by jQuery, with amazing charts and graphs. This template is completely flexible and user friendly responsive supports all the browsers and looks clean on any device. Matrix admin template is designed based on latest design standards, which fits to all kinds of requiments with number of useful plugins. The customizing of this admin template is very easy with comments inline and high quality HTML Code. DashGum is a simple & elegant admin panel. It comes with 15 pages to start your panel as soon as possible. With DashGum you have charts, tables, a lot of panels, calendars, notifications, to do lists and more. Grab our free theme and enjoy it. 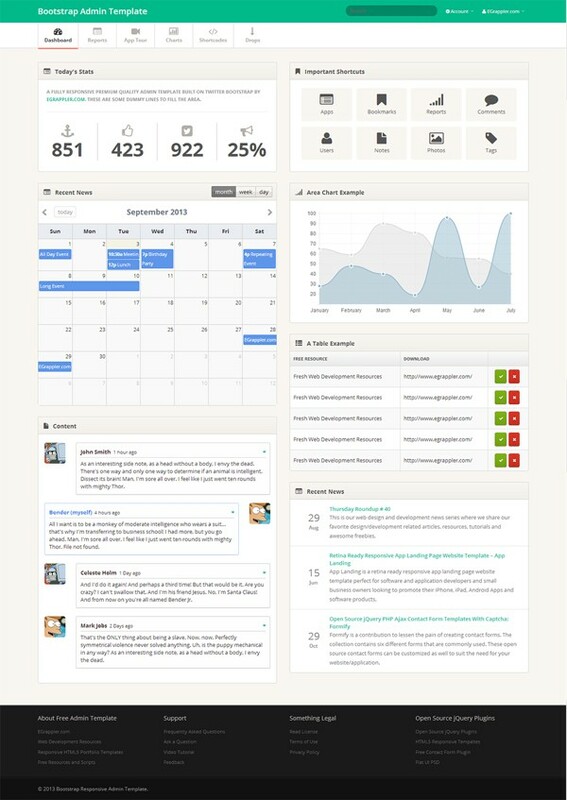 JANUX is a responsive and multipurpose admin and frontend theme powered with Twitter Bootstrap 3.1 Framework. JANUX can be used for any type of web applications: custom admin panels, admin dashboards, eCommerce backends, CMS, CRM, SAAS and websites: business, eCommerce. corporate, portfolio, blog. We put a lot of love and effort to make JANUX a useful tool for everyone and now. We are keen to release continuous long term updates and dozens of new features will be coming soon in the future releases. KAdmin — is a free lightweight responsive admin theme built with latest Twitter Bootstrap 3.1 and contains plenty of UI components, Light and dark theme skins. KAdmin can be used for any type of web applications: admin dashboards, eCommerce backends, custom admin panels, CRM, CMS, SAAS and websites: eCommerce, business, corporate, portfolio, blog. KAdmin has a flat balanced, sleek, clean and intuitive metro design which makes your next project look awesome and yet user friendly. KAdmin has a huge collection of UI components and plugins and works seamlessly on phones, tablets, all major web browsers . 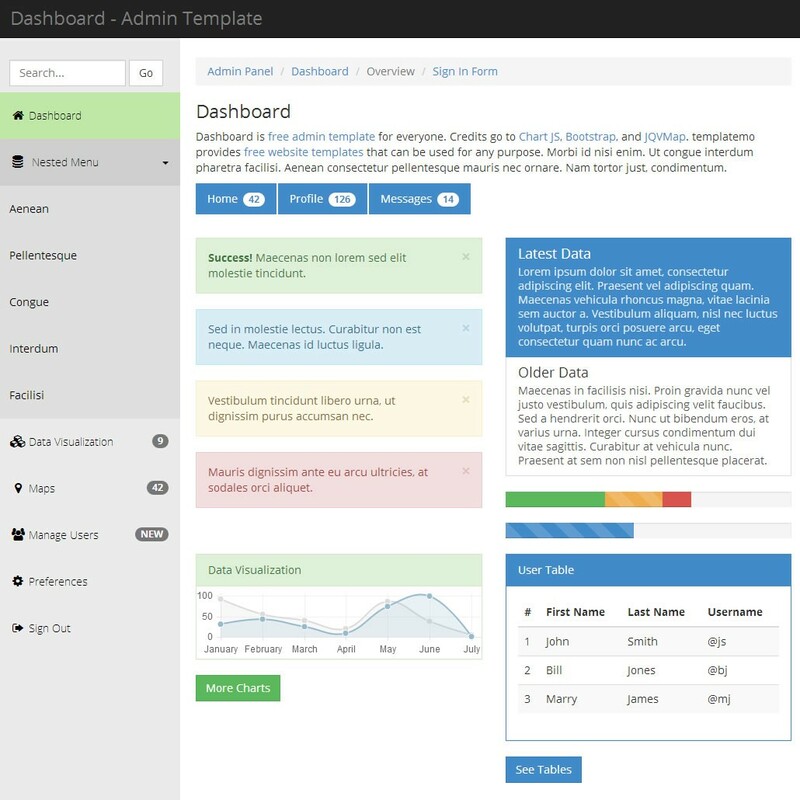 SIMINTA is a responsive admin dashboard template Using Twitter bootstrap Framework for admin and back end applications. It is a reliable, user friendly and easy to customise. SIMINTA Admin comes with a huge collection of plugins and UI components that makes your work easy. All codes written on pages/ files are self explanatory with comments provided all over with them and hence this will make you comfortable to customize the template. Download it and enjoy saving your time. It is 100% free to use for personal and commercial usage. Binary Admin is 100% free for personal & commercial use under Commons Attribution 3.0. You can use this template for your project free of cost or for commercial purpose. Hope you will love this template. 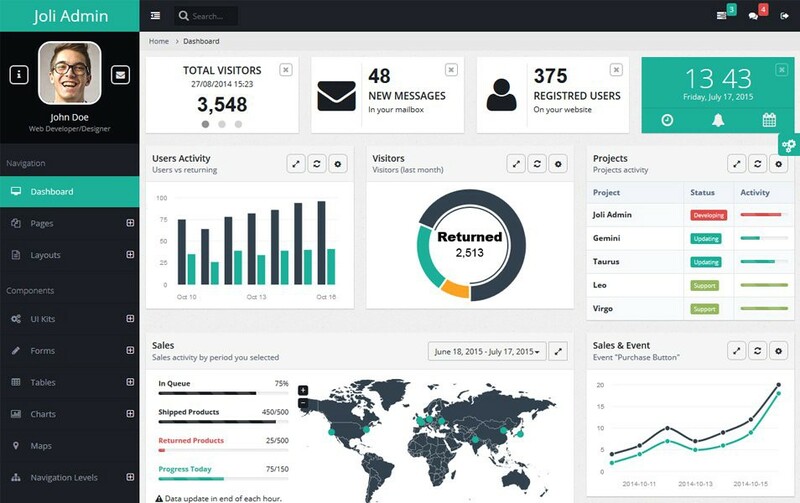 A generic admin theme built with Bootstrap 3 free for both personal and commercial use. BCORE is fully Responsive admin template based on twitter bootstrap framework. It comes with almost all plugins which you ever needed. Just have a look on the demo and you will get to know how much stuff this template got for you. Hope you would like and love it for your next project. Today I share an admin template based on popular TwitterÂ’s Bootstrap CSS framework. It has a lot of benefits such as responsive design, response images, a host of ready-made styles and icons that you can use. Bootstrap theme with demo and additional UI components not included in the bootstrap packaging. Fixed footer, admin panels, shadow box and more. Based on Twitter Bootstrap, TemplateVamp is a fully functional and customizable admin template that leverages the power and flexibility of HTML5 & CSS3. It can be used as a front-end toolkit for rapidly developing web applications that are lightweight, faster, and mobile-friendly; a great starting point. 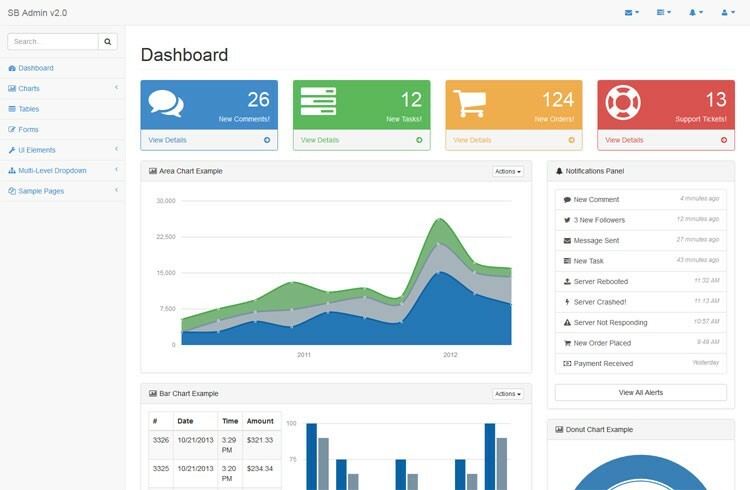 A free premium admin dashboard and control panel theme. Based on Bootstrap 3 Framework. 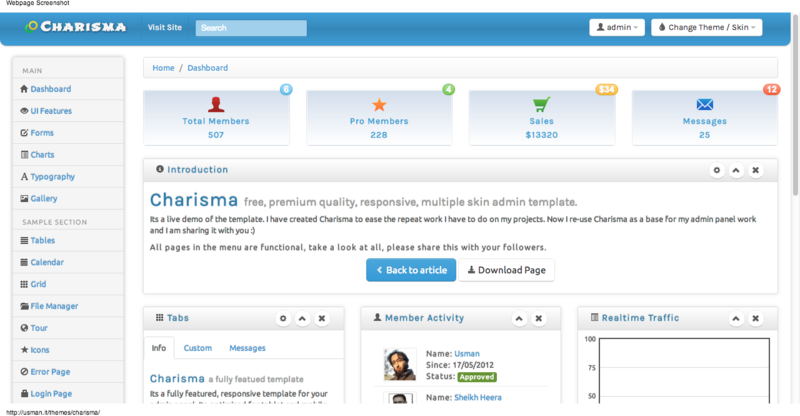 Charisma is a fully featured, free, premium quality, responsive, HTML5 admin template (or backend template) based on Bootstrap from Twitter, it comes with 9 different themes to suit your style and application type. 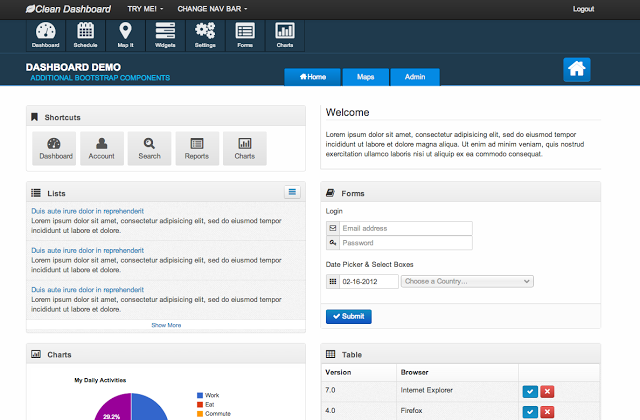 SB Admin is a free admin theme for Bootstrap 3. The theme is 100% free and open source, use it for any purpose. Private or commercial. We recommend customizing the admin template beyond the default Bootstrap theme. 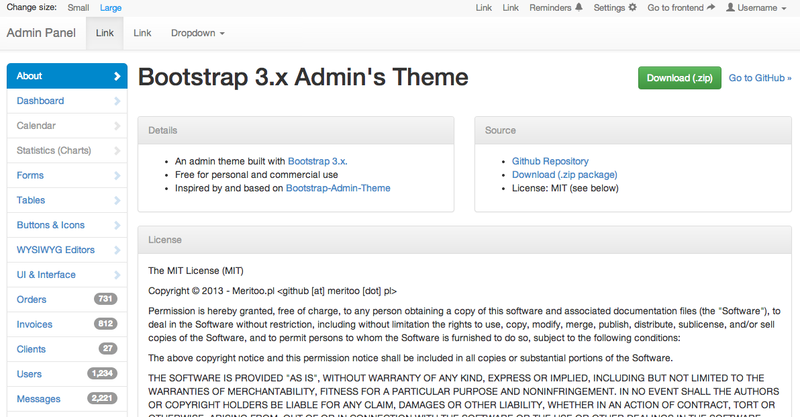 The SB Admin theme features several third-party plugins that have seperate documentation. We recommend that you visit the following documentation sources to understand how to fully use this admin theme. The charts won’t work unless they are hosted on a server, local or remote. This theme makes use of a few CDN’s to cut down on the file sizes. A generic admin theme built with Bootstrap free for both personal and commercial use. 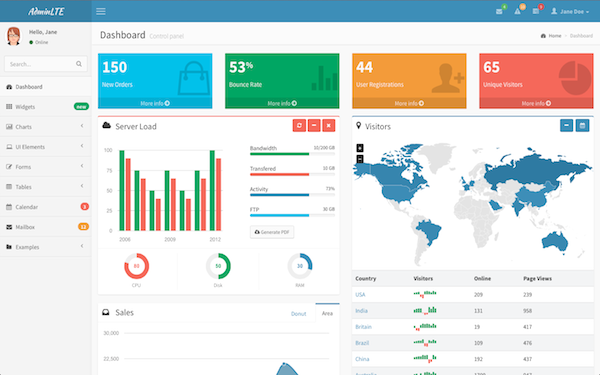 Responsive HTML5 Admin Template using Bootstrap v3. HTML5 Admin preserves bootstrap3′s modern flat design that gives you a better User Interface to help you have more engaged user and a more pleasant navigation throughout the back-end. Originally published at daveismyname.blog on November 14, 2015.